COENTHEBUTCHER INTERVIEW OF MARTY McCOY OF BOBAFLEX! Marty McCoy sits with our CoentheButcher before Bobaflex's show at Muncheez Live, and answers fan questions! 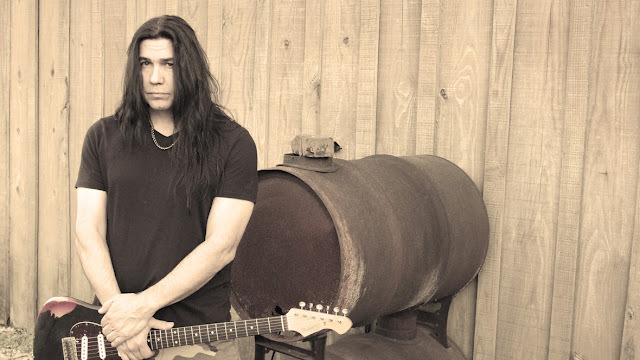 Legendary SLAUGHTER vocalist Mark Slaughter has released a promo video for “HALFWAY THERE”the title track, and third single from his sophomore solo release HALFWAY THERE, in stores now from EMP LABEL GROUP. 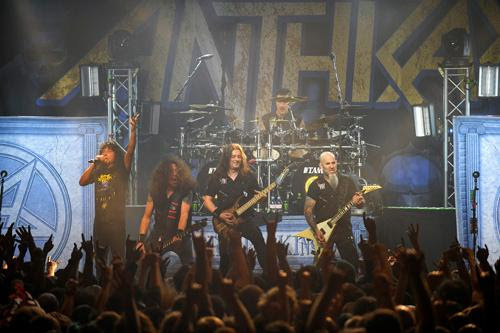 Multi-Grammy-nominated thrash icons Anthrax will see "Kings Among Scotland," the band's long-awaited live-in-concert DVD, arrive in stores and online on April 27, 2018 (Megaforce). 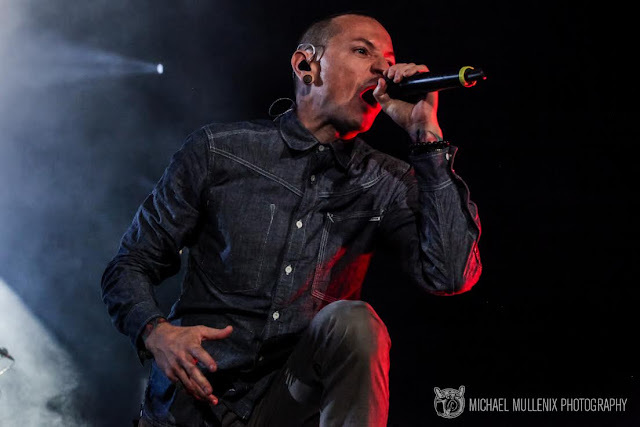 Captured lastFebruary 15at the band's sold-out concert at Glasgow's historic venue Barrowland Ballroom, the two-hour "Kings Among Scotland" incorporates the band's entire live show along with interviews, behind-the-scenes footage and other B-roll shot on the band's tour bus, backstage, in hotels and elsewhere. The DVD will also include a "gear rundown" from each of the band members. "Kings Among Scotland" can be pre-ordered starting today; log on towww.anthrax.comfor all purchasing information. 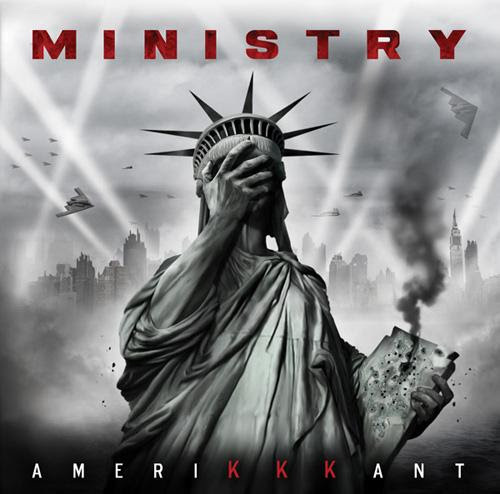 MINISTRY ANNOUNCES NEW ALBUM, "AmeriKKKant"
American industrial juggernaut MINISTRY, announces its new album AmeriKKKant, the band's first release for Nuclear Blast Records (worldwide), due out March 9, 2018. In addition, the band's Al Jourgensen is proud to release the album's first single/official music video, "Antifa," that stands up to the political chaos that is currently going on in America and can be checked out above! "This album, 'AmeriKKKant,'" said Jourgensen, "will provide FEMA-type relief for the devastation 'Hurricane Cheeto' has brought upon us." 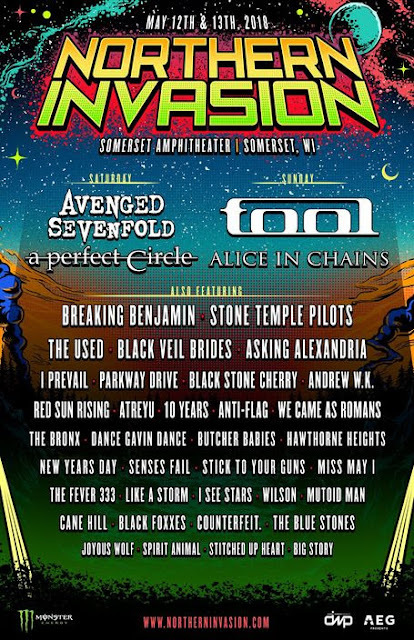 Tool, Avenged Sevenfold, A Perfect Circle and Alice In Chains lead the incredible lineup for the fourth annual Northern Invasion, Saturday, May 12 andSunday, May 13 at Somerset Amphitheater in Somerset, Wisconsin, just outside the Twin Cities. Atlantic Records has announced today’s release of “THE GREATEST SHOWMAN – ORIGINAL MOTION PICTURE SOUNDTRACK” the official companion to 20th Century Fox’s hugely anticipated new musical film. 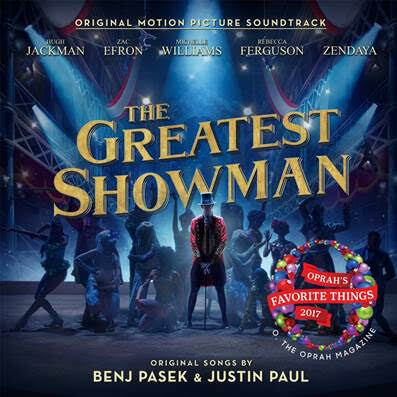 The album is available now at all music retailers and streaming services; THE GREATEST SHOWMAN opens in theatre's on Wednesday, December 20th. SMALL TOWN TITANS GIFT TO YOU! 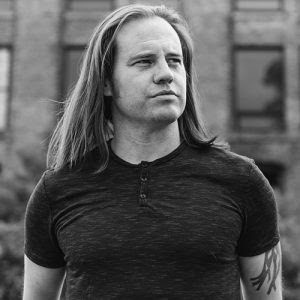 "YOU'RE A MEAN ONE MR. GRINCH"
Mitch Arnold, lead vocalist, of the band Wayland recently sat down to film this compelling promo on his trials and tribulations to bring awareness to depression and suicide withThe You Rock Foundation. Mitch talks about how he deals with these thoughts with 'exercise and meditation'. 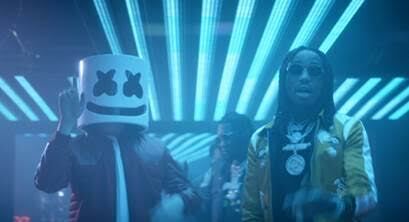 Atlantic Records has unveiled another massive track from BRIGHT: THE ALBUM, the official companion to the upcoming Netflix blockbuster filmBRIGHTfrom director David Ayer starring Will Smith and Joel Edgerton.“Danger” – whichpairs Migos with masked producer Marshmello just days after the chart-topping hip-hop trio garnered two top GRAMMY® Award nominations – is available now via all DSPs and is joined by an action-packed companion visual featuring never-before-seen footage fromBRIGHT, streaming nowHERE.BRIGHT: THE ALBUMarrives at all music retailers and streaming services onFriday, December 15th;BRIGHTpremieres Friday, December 22ndaround the globe on Netflix.